The multiple award winning French automobile brand is set to enter Bangladesh automobile industry. 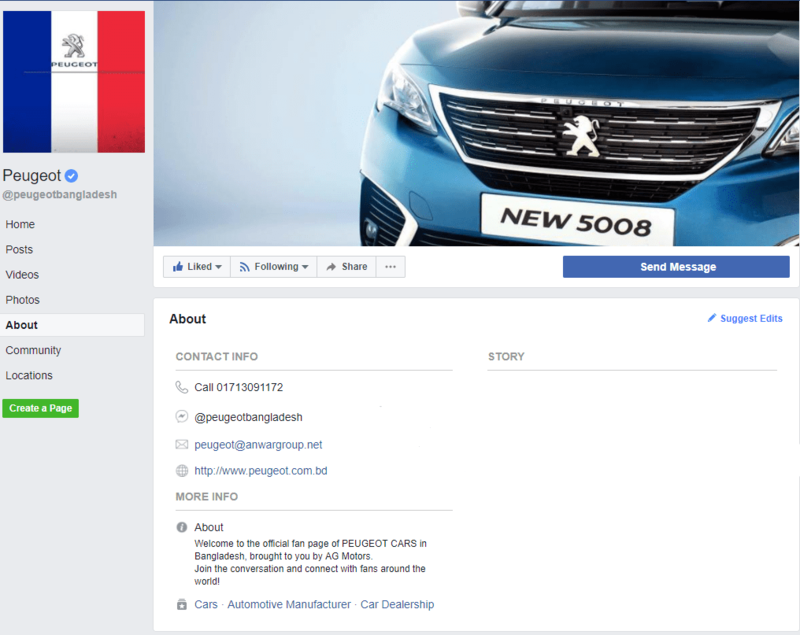 After going through the recent verified facebook fan page, we can fairly say that AG Motors will be the proud dealer of Peugeot in Bangladesh. And a Peugeot 5008 in the cover picture may also indicate that the brand might kick off its journey in Bangladesh with the new 5008. Stay with us, till we get more info about Peugeot in Bangladesh.